Book this brand new and amazing 2019 Solo Divers trip with Ultimate Diving for a chance to dive one of the world’s popular dive destinations. The ScubaAddicts Dive Lodge is your base for your South African scuba diving experience, ideally placed to access the sites around Aliwal Shoal, Protea Banks and the best tiger shark spots. The place that guarantees shark encounters! South Africa is a thrilling and diverse dive destination famous for its pelagic action, huge migrations of fish and the world renowned sardine run. 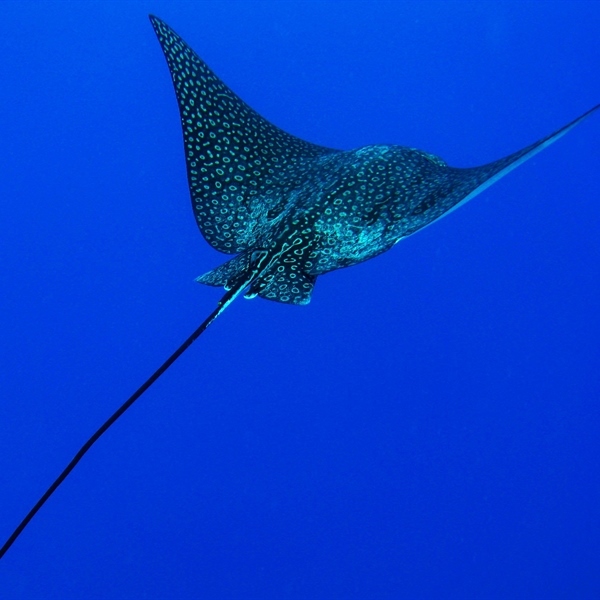 Diving the coast of South Africa and Mozambique is an epic experience if you are a pelagic lover. 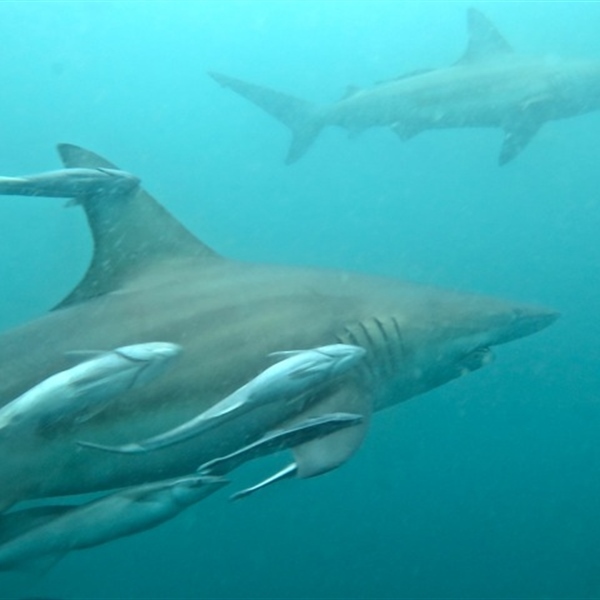 Here you can get up close and personal encounters with sharks on the reefs of the Aliwal Shoal in South Africa and Ponta do Ouro, Ponta Malongane & Ponta Mamoli in Mozambique. The main aim of our trips is to get you to dive with the many species of sharks including Tiger Sharks, Bull Sharks, Hammerhead Sharks, Ragged Tooth Sharks, Silvertip Sharks, Grey Reef Sharks, Dusky Sharks, Java Sharks, Whitetip Reef Sharks and on occasion other shark species. 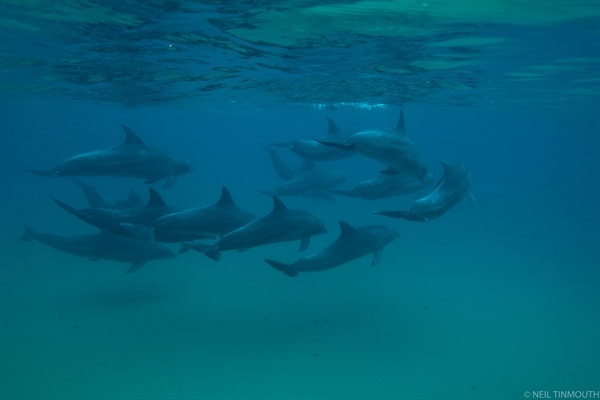 South Africa & Mozambique is also home to a huge diversity of other marine life including dolphins, turtles, mantas, rays, morays, whales and much more. An awesome diving experience guaranteed! 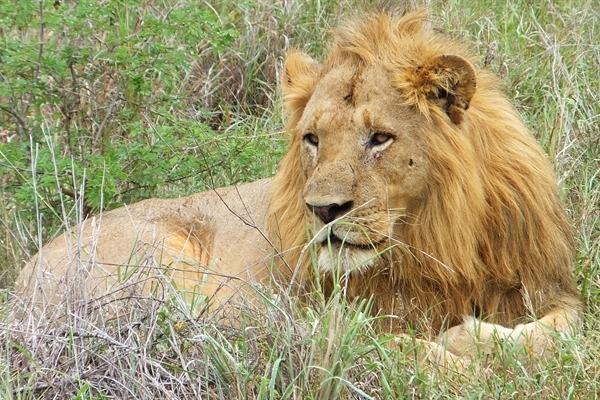 Linking a number of national parks this transfrontier park is one huge conservation area. The Apartheid Museum in Johannesburg, South Africa opened in 2001. Illustrating the rise and fall of apartheid. 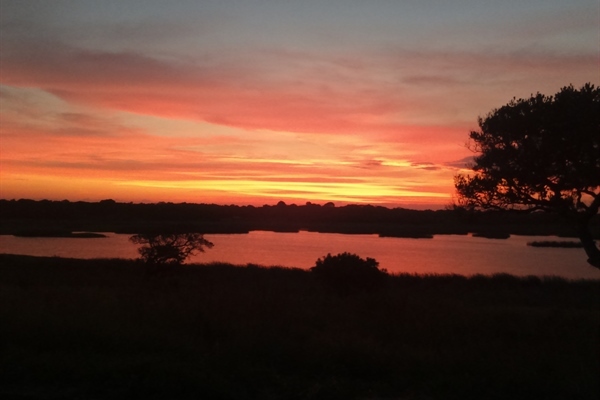 Where nearly 2 million hectares of unrivaled diversity of life forms fuses with historical and archaeological sights - this is real Africa.The world-renowned Kruger National Park offers a wildlife experience that ranks with the best in Africa. The Big-5 Safari with ScubaAddicts Dive Lodge will have you experience the Big-5 Open Vehicle safari in the Hluhluwe-Imfolozi Reserve and a River Cruise with the Hippos and Crocodile on the St Lucia Estuary in South Africa. South Africa is one of the world’s most popular diving destinations with locations attracting divers from all over the world such as Aliwal Shoal and the Protea Banks and its thrilling and diverse pelagic action and huge migrations of fish. Suitable for beginners and experience divers, South Africa’s east coast offers warm tropical conditions to suit all divers along with plenty of sharks, dolphins, whales, turtles and rays as well as remarkable reefs and a variety of colourful reef fish. The waters on the west coast are cooler but with magnificent marine life including the adrenaline fuelling adventures around Dyer Island, just 2 hours to the east of Cape Town where you can have up close and personal encounters with great white sharks. Ultimate Diving has a range of packages available. Most divers choose a six night package departing from the UK on Saturday. Other days of the week are available on request along with tailored made options and a number of experiences in this diving paradise including shark dives at Aliwal Shoal combined with tiger sharks and the great white shark cage diving or the famous sardine run combined with the “Big 5 Safari” where you have the opportunity to explore Africa’s wildlife. 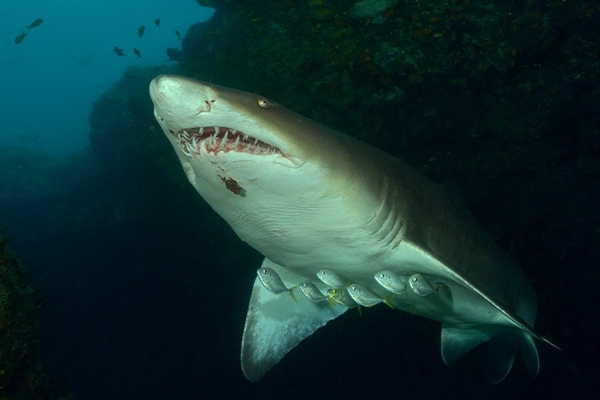 The 'SharkWEEK South Africa & Mozambique' package on the East Coast is for qualified divers wanting to experience diving with the many species of sharks found on the reefs of Aliwal Shoal and Pomta de Ouro, Protea Banks and Tiger Shark spotting areas. 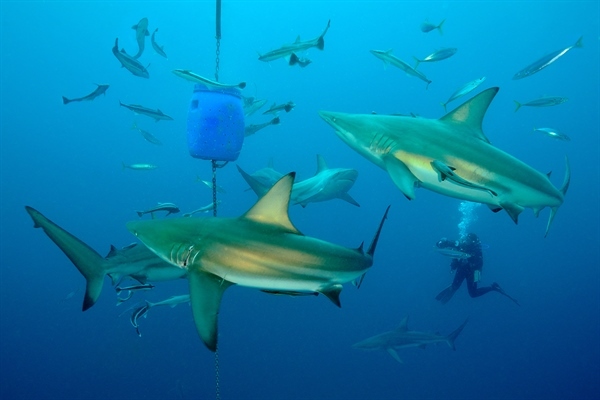 This trip’s aim is to dive with as many shark species as possible including tiger, dusky, bull and ragged tooth sharks as well as giant guitar sharks and hammerheads. 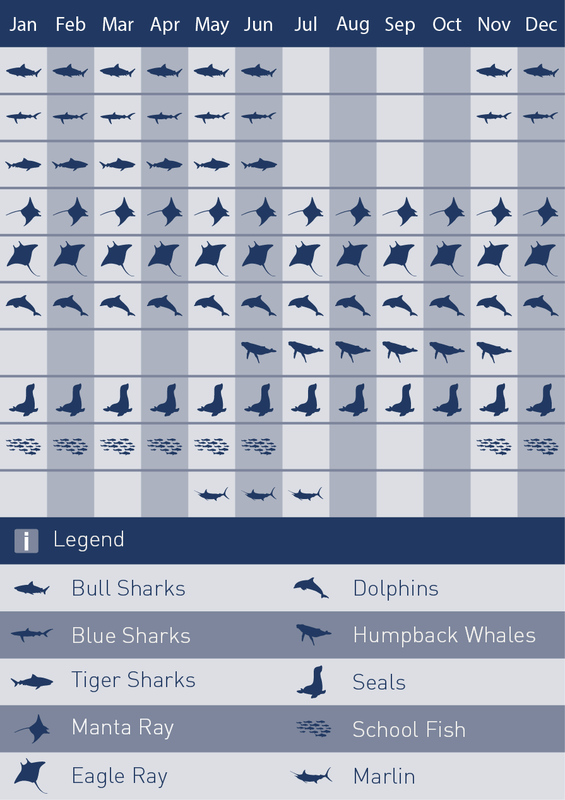 As well as sharks, the Aliwal Shoal and Protea Banks are home to a vast variety of marine life including whales, dolphins, manta rays, devil and eagle rays, turtles, eels and much more. The sardine run is a world-famous phenomenon taking place each year during June and July in Port St. Johns when billions of sardines spawn off the Agulhas Bank and high-tail up the eastern seaboard feeding on phytoplankton and zooplankton. Naturally, this convoy attracts an incredible number of predators looking to satisfy their appetites and you will get to witness the birds, dolphins, sharks and whales all enjoying a huge feast. This is undoubtedly an unforgettable diving experience, one that will bring you a lot of action and memories! We have listed 2 of the itineraries we have available and to ensure you can make the most out of your South Africa experience we have also listed the “Big 5 Safari” that can be tailored in to your sardine run adventure. Confirm primary courses and boosters are up to date as recommended for life in Britain - including for example, vaccines required for occupational risk of exposure, lifestyle risks and underlying medical conditions. Courses or boosters usually advised: Hepatitis A Other vaccines to consider: Cholera; Diphtheria; Hepatitis B; Rabies; Tetanus; Typhoid. British citizens do not require a visa for a stay of up 90 days. Your passport should be valid for a minimum period of 30 days from the date of exit from South Africa and have 2 blank pages. Emirates offers 30KG hold plus up to 7KG hand luggage. The best time to visit South Africa is between May and June as this is when the famous sardine run takes place each year. This phenomenon offers divers and underwater photographers’ unforgettable moments that will last a lifetime. The water visibility can vary quite a bit but is generally good and beyond 20 metres. 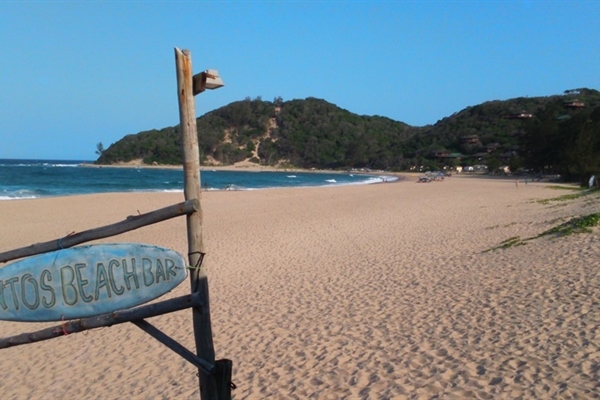 The water temperature averages range from 27°C at Sodwana down to 14°C at False Bay. South Africa has several climate zones that range from desert to subtropical temperatures. The Cape Town area has a Mediterranean-like climate with wet winters and hot and dry summers. Winter temperatures can get down near zero whilst summers can often reach 30ºC. South Africa is a thrilling and diverse dive destination famous for its pelagic action, huge migrations of fish and the world-renowned sardine run. Offer only valid for new bookings! Book a full package with us and save with our exclusive discounts!